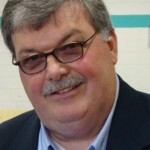 We recently had the honor of interviewing Catholic author Michael Seagriff. Michael is a Lay Dominican who has devoted his time to helping the cause of Perpetual Eucharistic Adoration grow. He also led a Prison Ministry for a decade. We had a chance to talk to Michael about these experiences, as well as his his book Forgotten Truths to Set Faith Afire! : Words to Challenge, Inspire and Instruct. Your book Forgotten Truths to Set Faith Afire! : Words to Challenge, Inspire and Instruct received the Catholic Writers Guild Seal of Approval in 2012, what inspired you to put together this collection of inspiring and instructive quotes? There were a number of reasons. Whenever something I read struck me spiritually, I wrote it down on an index card. Over the years I accumulated thousands of these cards – words which had touched my heart, stirred my soul and changed my life. I was convinced they would do likewise for others who read and reflected on them. This collection of eternal wisdom fills a great void in the Church – a need for catechesis and evangelization. The book presents essential and often forgotten truths of our Faith in mouth size bites – a few quotes at a time. As a Lay Dominican I am required to share the fruits of my contemplation – hard to do that if I just kept these treasures on index cards in my desk drawer, Finally, and most importantly, because God persistently prompted me to do so. You include quotes from the Bible, different Popes, saints, priests, and just regular people in your book. This is a really large base to draw from, why did you choose to do that? When I became hungry to learn the Truth, I read as much and from as many sources as I could get my hands on. Scripture, the Catechism of the Catholic Church and Papal encyclicals are obviously essential reads for anyone seeking to grow in their faith and love of God. After Vatican II we mistakenly got away from the written spiritual treasures left behind by so many of God’s great saints. I wanted others to discover these valuable gems. There are saints and prophets among us today whose work has much to offer as well. The book contains an extensive bibliography for those wishing to go more in depth than the limited quotations I have complied allows. 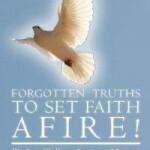 Forgotten Truths to Set Faith Afire! : Words to Challenge, Inspire, and Instruct includes seventeen different chapters that cover a plethora of topics. If you had to choose just one chapter as a favorite, which one would it be and why? That’s tough and I’m going to cheat and pick two, since both are really inseparable: – Chapter XII – The Source, Center and Summit of Our Catholic Faith which focuses on the Eucharist, Eucharistic Adoration and the Sacred Heart, and Chapter XIII – The Greatest Event On Earth Each Day which discusses the Holy Sacrifice of the Mass and our Priests. Why these two? The Eucharist, as Sacrament, Liturgy and Real Presence, must be everything to a Catholic and especially to our priests. Nothing less is acceptable to our God. The crisis in our Church today centers around the loss of reverence for and belief in the Eucharist. We must rediscover a sense of awe and amazement in this great Gift because It is the means through which God intends to transform all of us -clergy, religious and laity – into the saints He created us to be. How has being a Lay Dominican affected your life? Although I will remain a work in progress until my death, my Lay Dominican vocation has completely changed my life. Among many other things, it has provided me with a solid spiritual framework from which to work out my salvation, gave me a zeal and concern for the salvation of other’s souls, created an insatiable appetite to learn and share the Truths of my Faith, enhanced my ability to pray, re-invigorated my love for the Eucharist, Eucharistic Adoration, the Mass, the Rosary and our Blessed Mother, fuels and inspires my writing, and has helped me immensely in my vocation as husband, father, grandfather and friend. Have I left anything out? If your readers are interested, they can find out more about the Lay Dominican vocation at: http://www.3op.org/. You have spent a long time promoting Perpetual Eucharistic Adoration and led a Prison Ministry program at one point. Can you talk a little about these experiences and what they did for you and your spiritual development? Sure. Let’s start with Perpetual Eucharistic Adoration. More than 20 years ago, a friend invited my wife and me to get up on First Fridays each month at 2 AM to be with our Lord. We had never participated in Eucharistic Adoration, did not really understand it, and could not see how we could possibly get up so early in the morning and function at work the next day. We thought our friend was crazy, but we went, mostly out of Catholic guilt. Our lives have never been the same. Ten years later, I came to believe that one hour a month was simply not enough! I helped our former parish and another nearby parish initiate Perpetual Eucharistic Adoration and for more than a decade now someone has been with our Lord every hour of every day at both of these parishes. So many lives have been changed! So many souls saved! Four years after our Chapel opened, a total stranger gave us a Monstrance that had been blessed by John Paul II the Sunday before he died! I am a much different person today than I was before making a commitment to weekly adoration. I have a deeper and more profound love for God, my wife and my family. I think more often of others before myself. I still offend God but am quicker to seek the Sacrament of Reconciliation. I love Mass and the Holy Eucharist. My hunger to know and share the Truth, my vocation as a Lay Dominican, the inspiration to write Forgotten Truths and to create a blog all originated in the Presence of our Eucharistic Lord. I would not trade a second of the time I am blessed to spend with Him for anything. Eucharistic Adoration is not a ministry; it is not limited to a special few. It is the premier devotion among all of the Church’s devotions. It is the fuel that sustains our faith and enables us to love others on God’s behalf. God deserves our Adoration. He is entitled to it. At a time of great personal and spiritual struggle in my life, a friend invited me to a weekend retreat. He promised me that I would not regret going. He was right. That weekend God became very real to me. So when another friend later invited me to come to prison with him, I accepted his invitation hoping that God would use me to make Him real to someone else who was in need of experiencing His unconditional love. He did. Amazing what God can do through simple sinful men who come to prison and simply treat their “brothers in green” with the dignity and respect they deserve as creatures made in the image of a loving God, let them know God loves them, is ready to forgive them and able to transform them into new men – men of God and of Faith. The following example illustrates how powerfully God can work when we simply love someone on his behalf. On one weekend we had a “Charlie Manson” look-alike at our table. They could have been twins. He meant business. He had intentionally come to the program with filthy clothes, smelling as if his body had never been touched by the cleansing and aromatic qualities of soap or deodorant. There was no way we would accept him, he thought. As difficult as it was, we did. Throughout the day, he challenged us and questioned us and then he began to listen. He finished the day in the arms of a team member, crying uncontrollably and joyfully, having reconciled with his forgotten Lord through the Sacrament of Confession and having received Him in Holy Communion for the first time in twenty-seven years. What can we expect from Michael Seagriff moving forward into 2013? I am working on three books. One is a compilation of articles I have written and presentations I have made over the years in an attempt to encourage a greater reverence for and belief in the Real Presence of our Lord in the Eucharist and to promote Perpetual Eucharistic Adoration. The second book is a mini-memoir of some humorous, serious and unique life experiences. The last is a novel involving a lawyer who shares his Catholic faith for the first time with a client as the two contest three successive criminal prosecutions and try to thwart a prosecutor’s attempt to send this man to prison for the rest of his life. I will continue blogging at http://harvestingthefruitsofcontemplation.blogspot.com/ and promote Perpetual Eucharistic Adoration. God willing, I will attend both the Online and Live Conferences of the Catholic Writers’ Guild this year. Hope to see you there. Finally, I want to thank you Brendan for this interview and for the opportunity to share a little something about myself with your readers. I am very thankful that I was able to interview Michael, and I hope that you all enjoyed learning about him and Forgotten Truths to Set Faith Afire Words to Challenge, Inspire and Instruct. I encourage you all to visit Amazon and pick up a copy of this book today! I am very glad that you found the interview inspiring! Thank you for your comment and may God bless you!